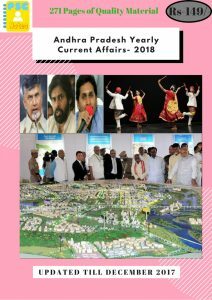 Andhra Pradesh has registered a growth rate of 11.37% during the first half of the current fiscal compared to the national growth rate of 5.8%. The growth rate, however, has fallen compared to 12.23% in the first half of 2016-17. The State has registered highest growth rate in the agriculture and allied sectors with 25.60% as against the national growth rate of 2%. Industry and services sectors also registered highest growth rate of 7.43% and 8.38% respectively. These growth rates are higher than the national growth rates of 3.6% and 7.9% respectively. All the three sectors have shown a fall in growth during Q2 compared to Q1. The agriculture and allied sectors’ growth rate slipped to 24.05% in Q2 from 27.6% in Q1. Similarly, the industry sector has shown a growth rate of 6.80% in Q2 as against 8.05% in Q1. The services sector registered a growth rate of only 8.38% in Q2 as against 8.67% in Q1. The agriculture sector has registered 25.60% growth during the first half compared to 24.44% during the corresponding period in 2016-17. There is a fall in the industry and services sectors’ growth compared to the last fiscal. A growth rate of 9.98% had been registered in the industry sector during the first half of 2016-17, while it is 7.43% during the first half of the current fiscal. The services sector too registered a fall from 9.57% in 2016-17 to 8.38% in 2017-18. The growth in these sectors, however, is high compared to the national growth. Also, there is a fall in the national growth in the agriculture and allied sectors and services sector. Shri Azar A.H.Khan, presently Consul General in the Consulate General of India,Istanbulappointed as the next Ambassador of India to Turkmenistan. The waste management system being implemented in Kerala’s coastal town of Alappuzha recognized by the United Nations Environment Programme (UNEP) as one of the five models across the world for fighting the pollution menace. Alappuzha, often called “the Venice of East”,has been listed in the UNEP environment report entitled, ‘Solid approach to waste: how five cities are beating pollution’ alongside cities like Osaka in Japan, Ljubljana in Slovenia, Penang in Malaysia and Cajica in Colombia. The centre, the first agro-technology development centre to be set up with Israel’s assistance in the State, was officially inaugurated on 7 December. Aamir Khan-starrer Dangal was on Wednesday named the Best Asian Film at the 7th Australian Academy of Cinema and Television Arts (AACTA) Awards. Dangal, directed by Nitesh Tiwari, is a biographical sports drama film. It is inspired by the lives of the Phogat family members, telling the story of Mahavir Singh Phogat, an amateur wrestler, who trains his daughters Geeta and Babita to become India’s first world-class female wrestlers. The Kumbh Mela has been recognized by Unesco as an “intangible cultural heritage of humanity”. The intergovernmental committee for the safeguarding of intangible cultural heritage under the UN body inscribed the Kumbh Mela on the “representative list of the intangible cultural heritage of humanity” at its 12th session in Jeju, South Korea. The Kumbh Mela, held in Allahabad, Haridwar, Ujjain and Nasik, represents a syncretic set of rituals related to worship and cleansing in holy rivers. 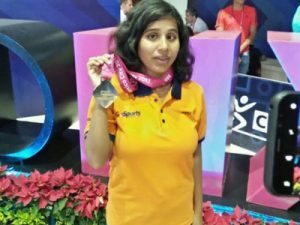 Nagpur’s Kanchanmala Pande created history as she became the first Indian to secure pole position at the World Para-Swimming Championship in Mexico. The 26-year-old Reserve Bank of India employee won gold in the 200-metre medley event in the S-11 category and was also the only Indian to qualify for the women’s category. Unfortunately, she missed a podium finish in the 100 metres freestyle and came fifth in the breaststroke and backstroke category. The Kerala government lead by the Left Democratic Front (LDF) has decided to raise the legal drinking age from 21 to 23 years. The State Cabinet in a meeting decided to introduce a new ordinance raising the minimum age for liquor consumption from 21 to 23. The Ordinance will amend the Abkari Act. The previous UDF regime had adopted a policy in favour of prohibition by shutting down bars and closing doors on state-run liquor vending outlets.